Serving as a long-standing monument to New Zealand’s conservation heritage, the Pūkaha National Wildlife Centre has, since the 1950s, provided a refuge for unique, rare and endangered species endemic to this country. It is also home to a Lockwood building which has, despite the passage of nearly four decades, stood the test of time and uninterrupted commercial use. Indeed, the chairman of the Pūkaha Trust describes the Visitor Centre Complex as ‘looking as good today as when it was opened’. The Pūkaha National Wildlife Centre is a wonderland of native wildlife cradled in the beauty of Wairarapa and Tararua’s 70 Mile Bush, Te Tapere nui o Whātonga. A thriving centre of conservation, restoration and celebration of the unique flora and fauna of Aotearoa New Zealand, Pūkaha offers visitors the chance to see the extremely rare white kiwi, native eels, whio, kākā, tuatara, kōkako and takahē. With the growing popularity of the Pūkaha National Wildlife Centre in the early 1980s (then known as the Mount Bruce Pūkaha Centre), a need was identified for a visitor centre to showcase all the facility has to offer. The building, which was to include a café, a retail shop, gallery and offices, would need to cope with the demands of heavy ‘foot traffic’ which are to be expected of a popular attraction which plays hosts to thousands of local and international tourists every year. Rotorua’s Lockwood was delighted to win the contract for the delivery of the Centre. With both the production facilities and the client’s premises on the North Island, construction of the new building was rapidly completed. The Visitor Centre Complex was opened by the Governor General of the time, David Beattie, in 1983. The level of traffic through the Pūkaha National Wildlife Centre is apparent in its schedule: seven interactive talks take place every day, the centre has a community education programme, school holiday programme and routinely hosts special events throughout the year. In total, the buildings see over 50,000 visitors annually. 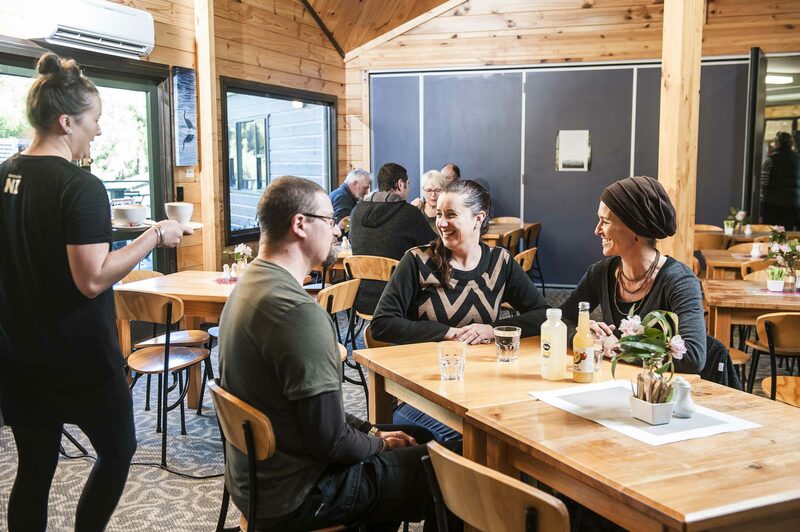 Pūkaha Trust chairman Bob Francis is glowing in his assessment of the suitability of Lockwood solid wood construction for the centre: “The building has stood the test of time and looks as good today as when it was opened 36 years ago,” he reports. Lockwood quality plays a central role in equipping the world class facility in providing an excellent visitor experience; in fact, notes Francis, Lockwood was again the choice when additional buildings were added in the mid-2000s. 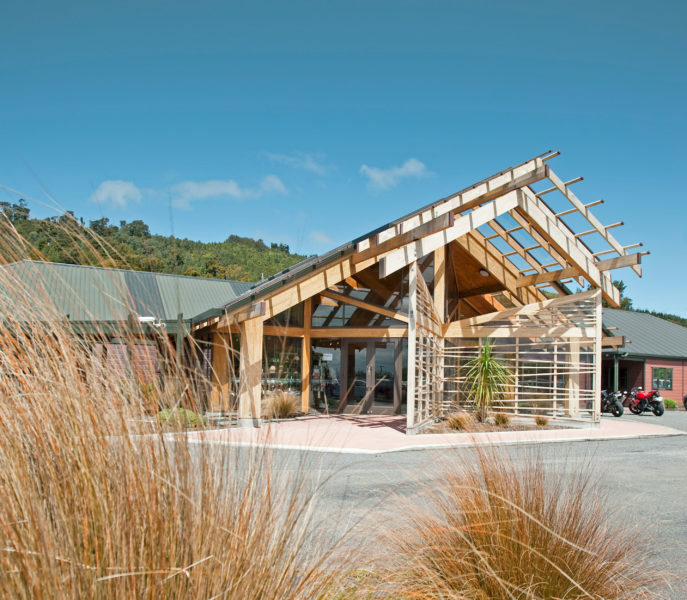 “When we commenced planning for an extension and new interpretive displays in 2006/07, we contracted Pro Arch Architects in Palmerston North to design the Visitor Centre extensions. We instructed them to closely follow the Lockwood design and they did a superb job,” he explains. There’s also a bottom line. “I confirm if we were rebuilding today, we would use Lockwood again. It fits well with the strong conservation focus of Pūkaha,” Francis concludes.